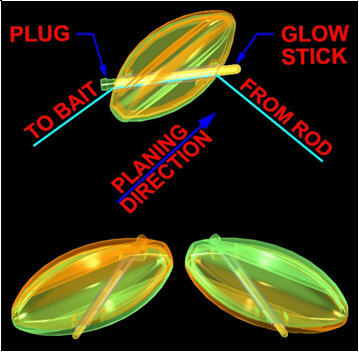 10 BulletBobber 8 HOUR GLOW STICK for night fishing. 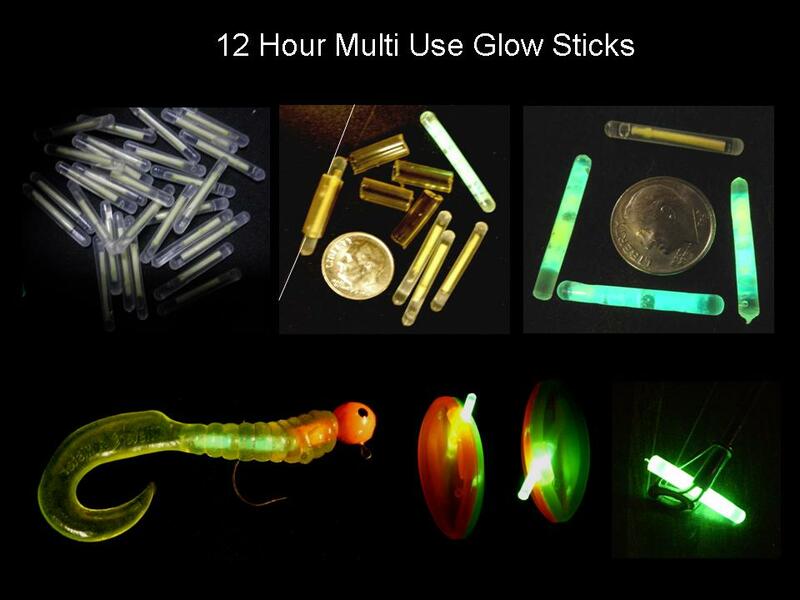 25 MINI GLOW STICKS Light up BulletBobbers, rod tips and soft baits or put on your line with clear tubing to attract fish when night fishing. BulletBobber GLOW STICKS are 1/8" diameter by 1" long and glow for over 12 hours, much longer then others because they are the solid core chemical type. To activate, gently bend and pinch with thumb nail in several place to totally break up the core. Then give it some tweaks, like a prankster would flick someones ear, to thoroughly mix and activate. The BulletBobber's translucent colors allow the light to shine through so you see green or orange and always know what way they are aiming! It is best to wet the light stick so it slides in and out easier.